3 Stars of Destiny is rated 4.8 out of 5 by 10. Rated 5 out of 5 by demonblood369 from Best Game in old style RPG 3 Stars is the prelude to the Laxius Force series in this incredible old style RPG. Kudos to ALDORLEA and Indinera!!! I have played these games since they originally came out. Story lines are incredible, characters are awesome! For those old school people that find HOG and the like unbearable who wish to get lost in the adventure of what games are actually supposed to be. Leveling up characters, earning gold through killing monsters and enemies, upgrading equipment, hidden areas with lots of goodies...you cannot beat it!!! 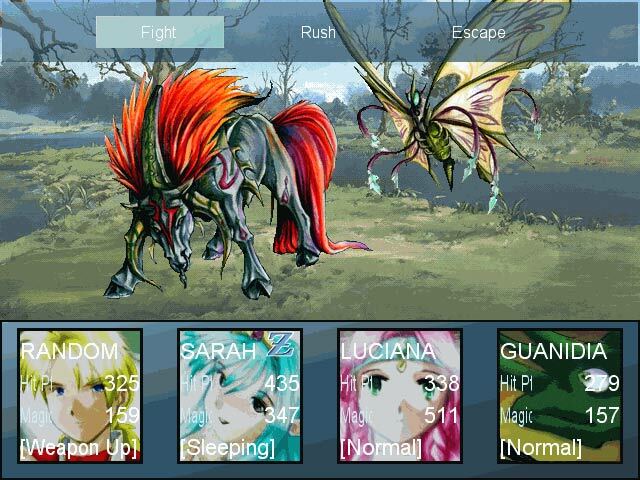 Random, Sarah and Lucianna are impeccable characters who you want to succeed in their quests. I've replayed this game so many times never getting tired of it. Aldorlea just had their anniversary also and their newer games are even more awesome! Rated 5 out of 5 by Bill_Rockwood from A great prequel to the Laxius series! If you played the three Laxius Power games and the first Laxius Force ones, you won't be phased by the gameplay and by the background of this huge and quite entertaining RPG. Playing as Random, Sarah and so on is as funny as usual, and the game is long enough to satisfy you during several dozens of hours of quests, fights and land exploration! Definitely worth the try! Rated 5 out of 5 by ChillinJeni from Best Game Ever. It was extremely addicting and very hard. But fun I had a great time playing it. Rated 5 out of 5 by cheetah100 from Great game this game was so much fun and it is really long as well. 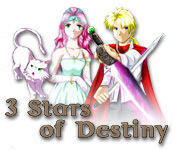 Rated 5 out of 5 by titanesse from The Incredible 3 Stars of Destiny Several years ago, when I first joined BFG, I ran across 3 Stars, and thus began my love affair with RPGs. I have played every one I could find since then, but none can compare with 3 Stars, except maybe Laxius Force by the same creator! This game is incredibly stocked with secrets and challenges which compel you to seek them out! It is massive in scope, yet easy to follow, with ample clues to guide you if lost. Indinera of Aldorlea Games, has an incredible ability to create a story which engages you, and characters that you come to love and empathize with. Then, he carries the same characters forward into the amazing Laxius Force Series. And, the replayability is the very best available! I have played numerous times, and found something new each time! Talk about getting a value for your money ......there is none better! Rated 5 out of 5 by Alikamou from Adventure Game! This is a 2D game with all the packed power of secret rooms, magic and fighting skills to learn, ingredients to gather for some side-quests. This is also the second rpg I've ever played and you just may get hooked like I did. There's great music and wonderous places to go. You'll meet a very young and powerful trio, tho they don't know it yet. Want to find out more, you'll have to try it. Rated 4 out of 5 by witchyboo from intertaning this game keept me entertained. Rated 4 out of 5 by CirceMoon from An Epic RPG Adventure 3 Stars of Destiny is a prequel to the Laxius Power and Laxius Force series of RPGs (role-playing games). Without a doubt, it is an epic RPG adventure that reminds one of the old school RPGs such as The Legend of Zelda. With countless side quests in addition to the main quest, you are looking at over 30 hours of gameplay time, which is incredible for the casual game market. 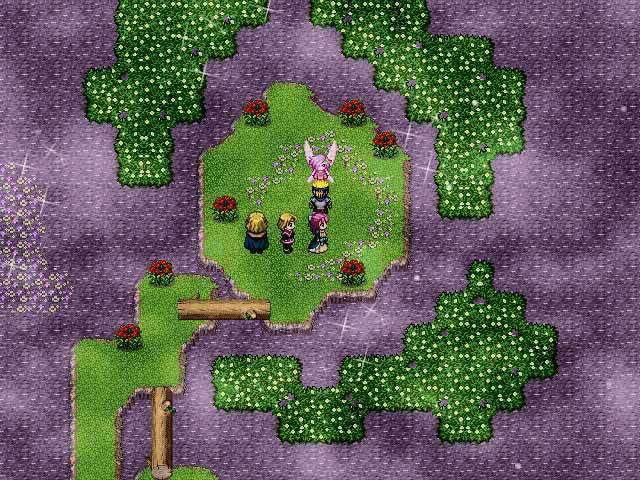 One of the areas in which the game shines is its story. You play as a team of heroes, including humans, an elf, a minotaur, a talking chameleon, and even a talking baby flame. 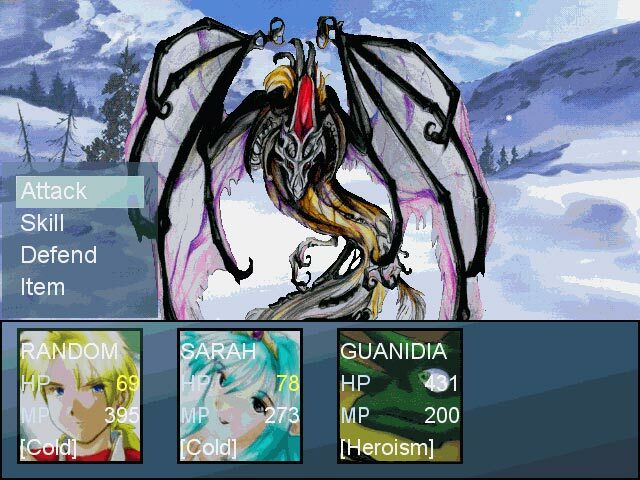 Throughout the game, they complete quests, battle monsters, gain levels, find useful items, and show some degree of character development. The world the game inhabits draws you into it, and you become invested in it and in the characters. However, the game isn't perfect, and there are a few things that bugged me. For one, you can't see the monsters at all, so encounters are completely unavoidable. There is an escape option, but it doesn't always work, and sometimes you are stuck fighting a battle that you don't want to fight. Not only that, but sometimes you just want to get from point A to point B without having to fight a monster every fifth step. You can control the encounter rate at the beginning of the game (manic, normal, or low), but be forewarned that the "normal" level entails fighting a whole lot of battles (I can't imagine how many you have to fight in "manic" mode!). Another flaw was that there was no shortcut system to help you warp to different places around the world. If you needed to go somewhere, it meant tromping through screen after screen of scenery. It would have been really nice to have the ability to use some sort of transport or teleport. Finally, the characters were, at times, obnoxious. I understand that they are meant to be teenagers and therefore somewhat less mature, but occasionally it was just annoying. By the end of the game, the characters mostly redeem themselves, though. It should be noted that after the main quest has been finished and the big boss defeated, you have the option to continue playing. If you wait through the end credits and right click once you are in the character stats screen, you will end up on a beach with all of your characters so that you can finish a huge number of side quests. I was honestly not crazy about this -- once the game is over, I want it to be over, otherwise I don't feel like I'm working towards anything. But I'm sure that a lot of people will enjoy this aspect of the game, and it is nice to have the option to keep going. The bottom line: If you enjoyed old-school RPGs such as the Legend of Zelda or if you enjoy more modern games such as the Aveyond series, you will surely enjoy 3 Stars of Destiny.